Chairman Steve Wiltshire welcomed the 18 members present to the meeting. 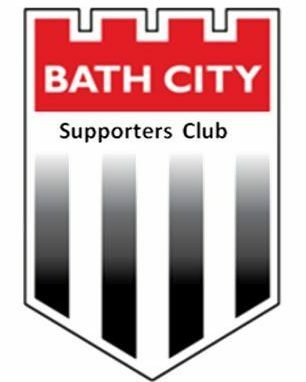 Martin Powell referred to the questions raised by Daniel Tanner about the Supporters Club’s role in the community owned club and his request that there be contact with Bath City Supporters Society on this matter. Martin explained that he had raised the point at the Society’s Interim General Meeting held in Autumn 2017 but he was not aware that any ‘Bath City Family’ meetings as mentioned in the Society’s Standing Orders had been held since. Despite this he reassured members that the Supporters Club had good relations with both BCFC and the Society and that Cheryl Bradley, Shane Morgan and himself were also club directors or members of the Society committee. The minutes were signed off having been proposed by Ashley Davis and seconded by Andy Field. To remove the following from the Supporters Club constitution… ‘Salaried employees of the Football Club will not be eligible for election’. Proposer – Martin Powell, Seconder – Alison Gibbons. Martin explained that the committee had recently questioned the need for this ruling which applies to the positions of chair, vice chair, treasurer and secretary. One of the present committee, Shane Morgan, is a salaried employee of BCFC which prevents him from standing for any of these positions. While there were no objections or questions from those present, Dan Tanner suggested it would be wise for committee members to declare any interests before an item of discussion at a committee or members meeting and not take part. It was agreed that the committee would discuss Daniel’s request at its next meeting. The motion was then voted on by those present and the votes received were then added to those online votes. Result – 15 For, 3 Against. Ashley Davis was elected to the committee and Shane Morgan and Martin Powell were both re-elected. Your committee has been working with a complement of 7-8 members in total again this year whereas the full complement in accordance with the Constitution is 11 members. Despite this shortfall in numbers we have all worked incredibly hard in representing you and supporting the club in various ways, meeting at least once every month as a group. If anyone is interested in joining and bringing the number closer to the full complement, please contact either myself or a member of the Committee. We have continued to communicate with Bath City fans and our members using various forms of media, including the Supporters Club website, match-day programme, flyers, forum, club newsletter, social media and the Chronicle. During the past couple of years this has been extended by sending email updates to members. It was agreed between your committee and Paul Williams that we help fund the hire of the training facilities for the team and regular amounts were paid to the club for this throughout the 2017/18 season. In addition to this, we were also approached to see if we could contribute towards the paying of the wages for the loan period of Ross Stearn. This we managed to do for 4 of the 6 weeks. There have been a variety of ways in which we have raised the income to allow us to pay for these things – members’ subscriptions go some way, but we are also reliant on the efforts of volunteers. The income from the tea bar increased again last season and this was due to a wonderful effort by those who run it. They are obviously visible during the match, some of which they miss, but they have also been setting up for some time before kick-off and are still busy after most have left the ground. In addition to coming in during the summer to clean the tea bar, stock needs be bought during the week, money banked and accounts kept. We hope their efforts are appreciated by supporters and I would like to say a big thank you to all of them. Likewise, the efforts of Basil and his helpers ensured there was a regular income coming in from the match-day draw and the selling of souvenirs. There were also one off events – the Xmas draw was slightly down from last year’s takings but still it remains a valuable contributor to the cause. A couple of quizzes were also organised and kindly run by Scott Wheatley; these continue to be very well supported and we are indebted to all those involved in kindly donating prizes for these evenings. The running of supporters’ coaches to away games again proved a challenge last season with the odd game being called off at the very last minute and then having to be re-arranged. Over the season we had an average of 22 travellers per trip, however thanks to the very generous donations from various people, to whom we are most grateful, we ended up by making a profit. I would also like to thank Ashley, Cheryl and Andy Field for selling the 50/50 tickets on the trips. For those of you who are not aware, Cheryl has kindly volunteered to take on the role of away travel organiser for this season, so thank you very much to her. However, I believe that a debt of gratitude should be made to Bas for his tireless work over the last few seasons in arranging these away trips, sometimes under very stressful conditions. Thank you Bas! A reminder that the Supporters Club can only be as strong as its membership. By the end of last season, we had just over 100 members, still well below the average home attendance. We recognise the important role we play by representing the views and well-being of our members as part of a community owned club. The subscription rates for the coming season will be kept at the same price as last year; we would ask you to help us in persuading as many people as possible to pay this small amount to allow us to continue supporting the club financially. I would like to convey my thanks to Mark Tanner for his time on the committee, during which time he managed the Supporters Club HQ and also created and hosted the its website. Finally, we must try and support Jerry and the team both on and off the terraces to get a successful side that we will all be able to support for a very long time to come. There were no questions from the members present who showed their appreciation for Steve’s report. Graham Weeks briefly went through the accounts which had been shared with members prior to the meeting and which showed a closing balance of £611. He briefly outlined the income streams, including matchday draw, tea bar, Christmas Draw and quizzes, which enable the Supporters Club to fund the players’ training facilities and help with loan signings. The season has started well regarding fundraising and £2000 has already been forwarded to the club. The members present showed their appreciation for all the hard work Graham does in his role as treasurer, which benefits not only the Supporters Club but also BCFC. Graham gave his thanks to Nigel Reed who for several years as auditor has volunteered his services to the Supporters Club. As a show of gratitude the Supporters Club committee had invited Nigel and his wife to this afternoon’s match and they had enjoyed a meal in the sponsors’ lounge. Richard Smith declared that one of the primary functions of the Supporters Club should be to run a coach to every Saturday away fixture. He did not see the need for the sliding scale of fares, preferring to pay the advertised price in the hope that any profits could be used for funding less popular trips. It was explained that this policy was introduced in the hope that more supporters would be encouraged to travel. Steve Tanner explained that he was one of many supporters who were unhappy about the decision pre-season to publicise the six away fixtures which the Supporters Club would not run coaches to. He was reminded that it had been stated at the time that this would be reviewed later in the season as there may be a demand for a coach to some of these fixtures if supporter interest is sufficient. Dan Tanner asked if the Supporters Club committee supported the club’s redevelopment plans and Steve Wiltshire reassured him that it did. Martin Powell congratulated Ashley on his election and pointed out that his was the only ‘new’ nomination in the recent Supporters Club, football club and Society elections. He shared his concerns that there did not appear to be enthusiasm from amongst supporters to serve on the various committees and that new faces, ideas and expertise were always welcome. While the void in the area of IT has hopefully been filled by Ashley’s arrival, the Supporters Club were still very keen to recruit members with experience of fundraising. And members who were unable to commit to regular attendance at committee meetings might consider volunteering for matchday roles, including selling draw tickets and manning the HQ. Following a discussion at a recent committee meeting, the members present were asked for their views on the Supporters Club sponsoring a player. The response that funds might be better used on helping the club with any future player loans was generally accepted. There was also a suggestion that the Supporters Club might sponsor a match. This will be considered by the committee. Steve Wiltshire thanked all present for their attendance and closed the meeting.